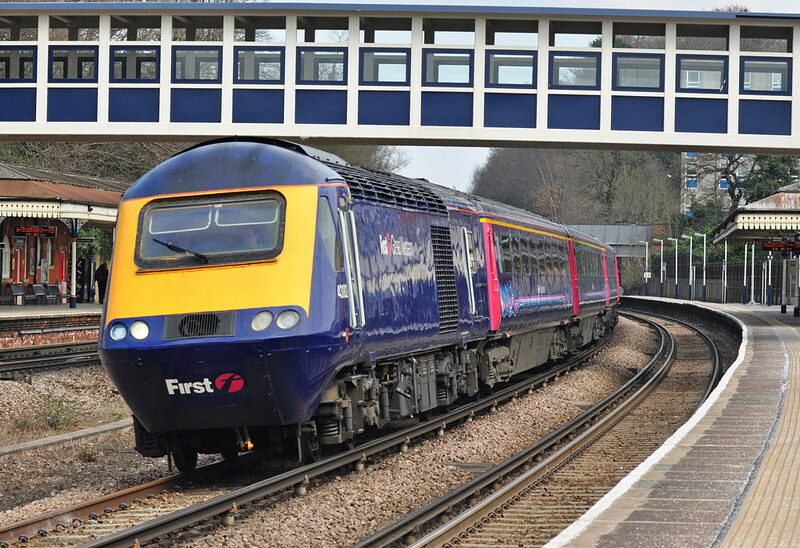 FGW HSTs on divert over the SWML. Frimley Lodge miniature railway in some decent light. Tug 40 on the tanks & Grid 091 in action. 57313 at Wraysbury on an excursion & the Mid Hants diesel gala. Not something you see every day at Farnborough Main. FGW HST 43182 has charge of 1V75 the 14:07 London Waterloo-Penzance & is seen taking the reversible curves with ease Easter Monday 01 April. HSTs were diverted this way due to the closure of Reading station for ongoing redevelopment work over the Easter break.